Welcome to Festival Outlook, a new supplemental column to Consequence of Sound’s Festival Outlook. In this installment, Frank Mojica talks to Firefly Music Festival founder Greg Bostrom about the Delaware fiesta’s inception, how they snagged both OutKast and Foo Fighters this year, and where he’s interested in taking the franchise next. First, I would like to ask how did Firefly come to fruition and could you fill us in on your role of festival director? Firefly Music Festival was a project that we began researching and developing in Fall of 2010. We saw the growth of the festival industry during that time and thought there was an opportunity for another major festival on the East Coast. Based on our experience in other event industries, it seemed like a great opportunity to expand our competencies into the live music space, and the idea of putting on a music festival with some of our favorite acts seemed like an absolute dream. Our goal from the beginning has been to develop into the premiere music experience for the East Coast, and as we’ve grown we’ve kept our focus on that vision. As Festival Director, I have been involved since day one, from the initial industry research, to venue selection and site planning, to booking our first acts. Today I oversee all operations of the festival, working closely with our VP of Operations at Red Frog Events as well as our very talented team of Assistant Directors. I’m also a part of our talent team, responsible for booking all the acts that appear at Firefly. What’s your strategy for Firefly? Specifically, Firefly is about to have its third edition, while so many festivals on the east coast have folded after one or two. How has Firefly succeeded when so many others haven’t? Our primary focus has always been the experience of attending Firefly, and I think our success has hinged upon our insistence for putting the participant experience above all else. The festival industry is a difficult industry, especially in the formative years when you’re realizing all the expenses of developing your brand and trying to create an event that connects with music fans. I think we’ve done a good job keeping a long-term perspective during these formative years, making decisions that benefit the fan and the brand as opposed to short-term financial gain. Also, any plan is only as good as the team carrying it out, and we’re lucky to work with the absolute best team in the world, which is truly the biggest reason for our success. How does the booking process go for you? When does the lineup start taking shape? We started working on the 2014 lineup prior to 2013’s event, with our first acts signing on in July of last year. The lineup starts really taking shape late in the Fall, with acts being added all the way up until announce day. The booking process takes so many twists and turns as acts sign on or become unavailable, and it’s a fun, ever-evolving puzzle trying to book an exciting, eclectic lineup that appeals to our fans. Since our ultimate goal is to put forth a lineup that reflects the bands our fans most want to see, we rely heavily on their direct input to tell us who to book. This year, we surveyed our fans and asked them to rank hundreds of bands in terms of how much they’d like them to appear at Firefly. Thousands of responses later, their top responses became our initial target list and ultimately was a key resource for staying focused on the fans throughout the process. We also spend hours upon hours digging up new artists, talking to agents and managers about the acts they’re most excited to see rising through the ranks, and watching new albums and touring patterns for top acts. At the end of the day, we try to stay tied in to as many channels as we can to make sure we’re booking the best lineup possible for our fans. You have some formidable names on the bill, especially with the OutKast reunion and Foo Fighters, both are arguably the most beloved in their respective fields. How did the booking of OutKast come about? 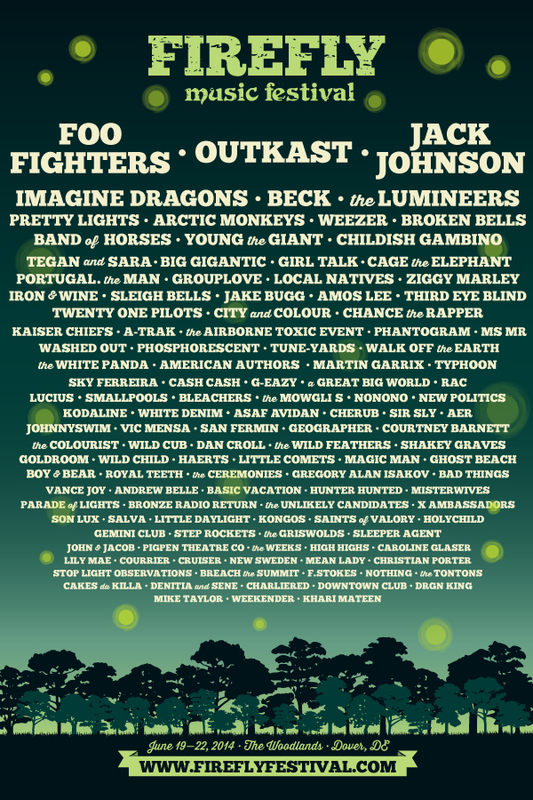 We’ve had both OutKast and Foo Fighters on our dream headliner lists from the very first Firefly discussions in 2010. 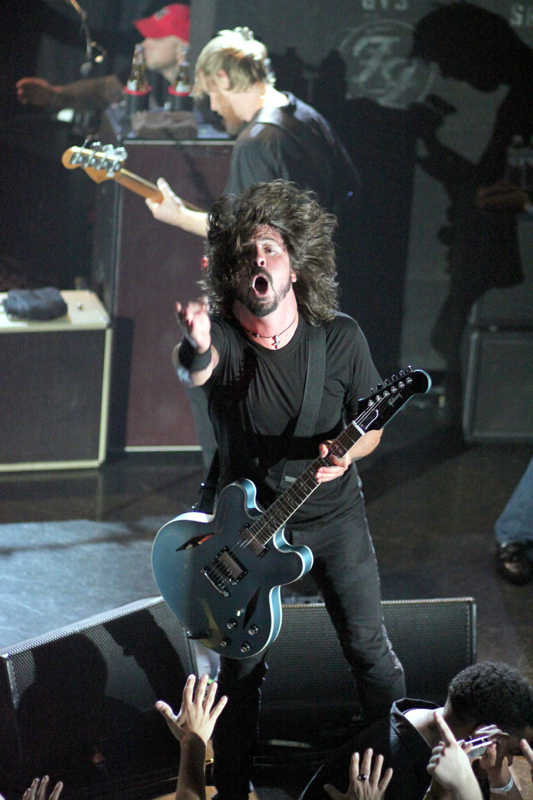 For Foo Fighters, we’ve attempted to book them every year, and when the opportunity to book them for 2014 became plausible, we did everything in our power to get them on the bill. We’re beyond thrilled to have one of the most accomplished rock bands of any generation headlining at the Woodlands this year. With OutKast, we’d reached out in the past to let them know if they ever wanted to put the show together, they’d have an offer from Firefly. 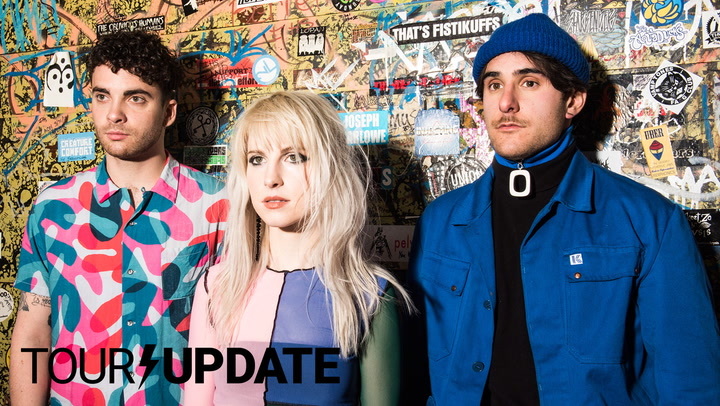 We first got word that they were planning a comeback in early Fall, and we were ecstatic to book them for their exclusive Mid-Atlantic show this year. They are one of the most influential and celebrated hip-hop groups of all time, and we couldn’t be happier that they’re back on tour and headlining Firefly. Who do you see as the breakout stars of 2014? Quite a few artists that played last year went on to break through in a big way. Imagine Dragons had an especially massively successful 2013 are returning this year with a higher billing to reflect that. Is this the start of a Firefly tradition? We have as much passion for the names on the final few lines of the lineup as we do for the names on the top, and we spend an extraordinary amount of time and effort on curating each and every act on Firefly. A lot of the traits that can lead to a major breakout (undeniable talent, killer songwriting, musicianship, live performance and energy), are the same traits that make someone a perfect fit for Firefly, so we truly view every smaller act we book as a potential breakout candidate. Imagine Dragons has enjoyed quite a wave of success since we first booked them for the 2012 festival, and their subsequent move up the lineup bill has been a nice representation of that (we initially had them booked in 2013 as well, but they had to pull out for another commitment). We try to keep every lineup fresh with mostly new acts, but we love to bring back a few crowd favorites, especially when their growth over the previous year means a lot of our fans are clamoring for them. We love the idea that any act you see at the Woodlands could be tomorrow’s headliner, and they have been a great example of that. As a festival in Delaware, I imagine people come from all over the east coast and beyond to attend. From which markets do most of your attendees come and how does that come into play with the direction of Firefly? We get fans from all over the country and the world, but our highest concentration of fans is on the east coast in the metro markets surrounding Dover: Philly, DC, New York, Baltimore, Wilmington, etc. Since we’re an East Coast festival and the majority of our fans are from here, we’ve always tried to take into account regional preferences, from the food and drinks to the music and everything in between. As the festival continues to grow and attract more and more fans from a wider geographical pool, our main goal stays focused on delivering a top-notch event, regardless of where fans are coming from, but we’re proud of where the festival is from and we try to reflect that in the Firefly experience. I notice that onsite options such as RV camping and “glamping” are available and popular and that the festival site is surrounded by the woods and is quite lush compared to others. Could you tell us about the non-musical aspects of the firefly experience? 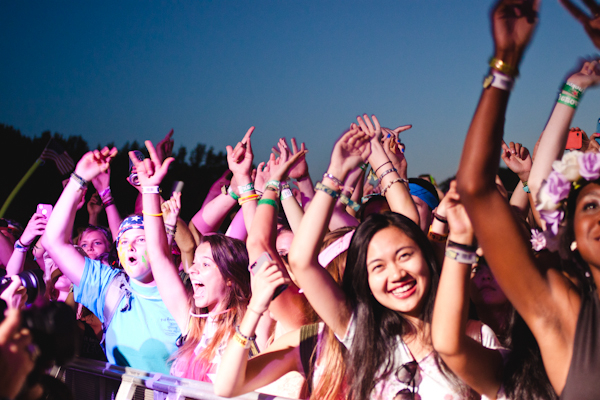 How would you describe the vibe inside the grounds and at camp? Absolutely. For the majority of our fans, camping on-site at the Woodlands is a key part of the weekend experience and something that makes Firefly special and unique. We offer camping options for all walks of life, from those yearning for the comfort of air-conditioning and a bed to those that want to experience as much of the weekend as humanly possible and view sleep as a necessary evil. We offer general tent camping, Wednesday premiere camping (very close access to the festival), RV camping, Wednesday premiere RV Camping, Super RV Camping, Glamping (“glamorous camping”, which includes a private, air-conditioned tent for two festival-goers with cots, blankets, and pillows, and a power source for personal electronics and private restroom facilities), and Premium Glamping (an even more glamorous experience with 2 Twin beds or 1 Queen, hardwood flooring, additional furniture, complimentary robes, and food vouchers). To put it simply, the festival area is beautiful. The festival is surrounded on all sides by woods, green grass, and lush trees, which all make for an ideal setting for watching your favorite artist or experiencing any of the many other components of Firefly. We have always kept a strong focus on the developing the experience of the festival, extending beyond just the musical components. There are Hammock Hangouts, where you can take a break to relax among the woods, The Brewery, where you can sample Dogfish Head brews while watching live sports, and the Arcade, where you can play vintage video games for free, among countless other on-site activities. We have amazing staff and volunteers that work to keep the festival area clean while the grounds are open, and we work with talented design companies to ensure the feeling of The Woodlands is reflected in every turn. It all adds up to a relaxed, friendly environment, and a group all there for the same purpose of having a fun and memorable weekend. Going back to booking, what are the acts at the top of your wish list? Also, who is the one that got away? We have a laundry list of names we’d like to see at the Woodlands, and also a laundry list of ones-that-got-away that we hope to have at Firefly in the near future. For 2014, Arcade Fire is an example of a band we targeted early and often, and at the end of the day schedules just didn’t align (as is often the case, especially with headliners). Thankfully, as the festival evolves we’re getting into more bands’ conversations earlier in the booking process, which should help us bring a lot of those wish list bands to the Woodlands in upcoming years. Where do you see Firefly five years from now? We’d like to continue growing and improving every year, and most importantly to provide the best music festival experience in the world for our fans, bar none.